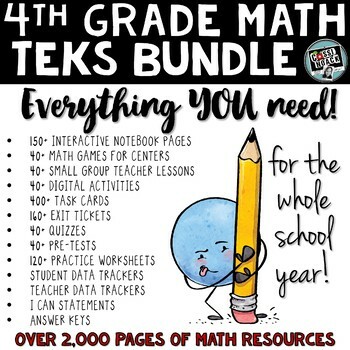 4th grade math TEKS Year Long Bundle ALL math standards included! Invest in your class for the entire year! 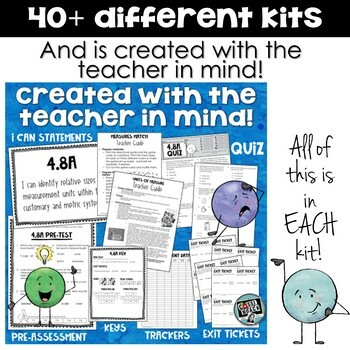 This bundle has EVERYTHING you need to be the teacher your students deserve! Don't spend your nights and weekends searching for lessons and worrying about what resources to use! We have you covered! Think your team would benefit from these kits? This product is only licensed for one teacher. Additional licenses are available at half price! This discount is only available on this "year long bundle". Many schools are willing to purchase curriculum for their teachers. Ask your principal today! Imagine a classroom where the learning is owned by the students, data from purposeful assessment drives the instruction,and activities are meaningful and fun! This is the classroom every teacher wants, but let’s face- who has the time to gather the materials, create the activities, differentiate the instruction, and TEACH? Check out the preview to see more! 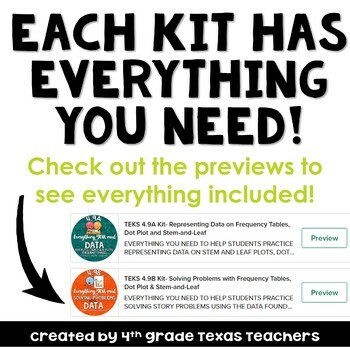 WHICH TEKS KITS ARE INCLUDED? Check out the previews for more pics! ❗Check out the video preview for more details! Click the green arrow above to follow this store. Doing so will alert you when additional units become available! 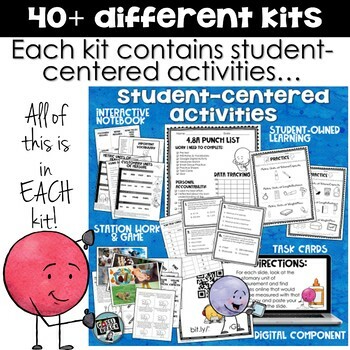 THIS PRODUCT IS CREATED BY EXPERIENCED FOURTH GRADE TEXAS TEACHERS!